If the audience at a Keith Kenny show were to close their eyes for the performance they would swear that there was a full band on stage. The audience, however, is too busy dancing to the one-man acts layered guitar riffs, foot stomping percussion and emotionally charged lyrics to even think about looking away. The New Jersey native is able to emulate the sound of a full rock band with his percussive fingerstyle approach to the acoustic guitar and an array of effects pedals. Kenny even customized a vintage red suitcase to use as a kick drum, which has appeared with him on stage for over a decade of live performances. His debut appearances at The Stone Pony in Asbury Park paved the way for Kenny’s developing one-man band show and led him into the national touring circuit and beyond. During his most recent “Big Red Suitcase Tour” Kenny performed in over 50 U.S. cities from coast to coast and was chosen to headline a series of benefit concerts in SE Asia to raise awareness about unexploded bombs. 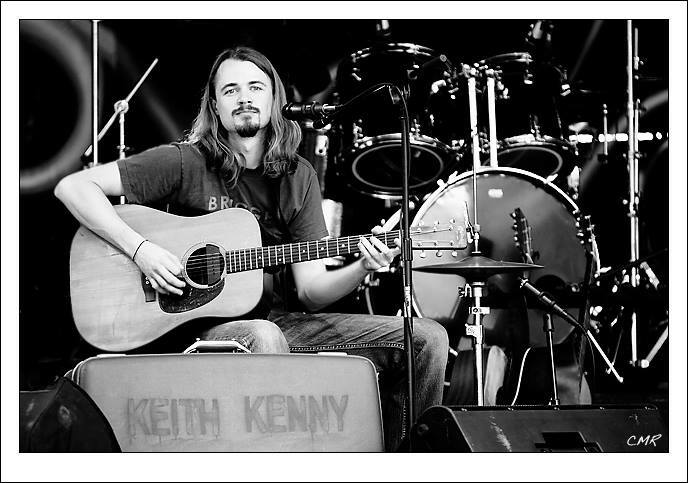 Kenny has also performed throughout parts of Europe and appears annually at the NAMM Convention in Anaheim, CA. In recent years he has shared the stage with the likes of Keller Williams, Dean Ween, Leon Russell, John Hammond Jr., New Riders of the Purple Sage, The Zen Tricksters and John Kadlecik (Further & Dark Star Orchestra). On his latest release “Keith Kenny – Live” Kenny captures the essence of his live solo show, with all the guitars, vocals, and foot stomping performed simultaneously. This live recording shows both talent and audience love of their musical hero, and the interplay is outstanding and magical. With an influential voice that lies somewhere between Neil Young and Keller Williams, Kenny delivers clear and concise visions of dynamic musical deliverance. Combining a deep dive into tone, originality and believability, he ushers the listener into his brand new living room of roots riddled rock and roll.